If you are planning to open a new restaurant there are basic resources that you need to look upon before getting started. 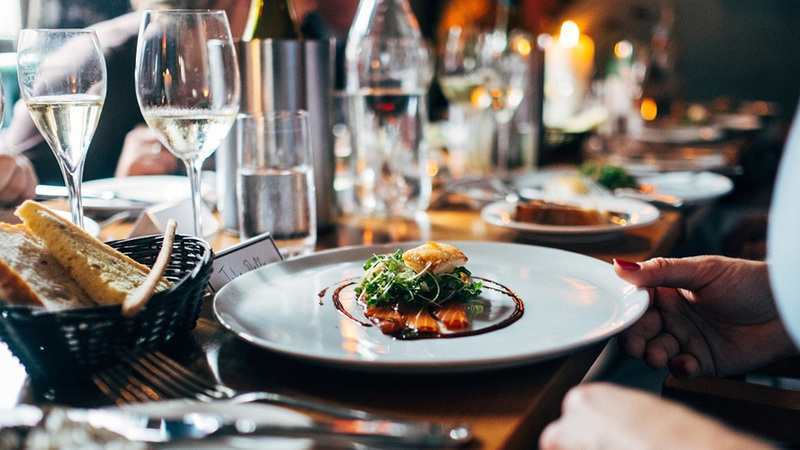 The restaurant industry has become a major player in the Indian economy with the market size of INR 3,09,110 crores growing at a CAGR of 10% to reach INR 4,98,130 crores by 2021. The industry also contributes a whopping amount of Rs 2,400 crore by way of taxes to the Indian economy employing over 5.8 million people. But, despite of the growth many of the restaurants are failing within few months of the opening due to the lack in their plan. Human resource: Hiring the staffs is the first process that comes in planning for your restaurant. You will need chefs to curate the menu and look after the kitchen works, server staffs to cater to specific tables and a manager to ensure business operations, an accountant to manage the operations business and also you can act as an employee by looking into the certain business of your restaurant. Cutlery & Equipment: Operating a restaurant not only requires staffs and management of the restaurant, it requires proper use of the equipment. You need to have the good quality kitchen as well the front office operating equipment which can be purchased from a trusted supplier or manufacturer. Holding tables, chairs, stove and ovens, designing equipment, cutlery and other equipment needed to let the restaurant roll. You will need a steam table unit that can hold your hot foods such as soups and side dishes at the proper temperatures, as well as a cold-holding table that keeps salads, deli meats and cheeses cool and fresh. Small equipment can range from industrial can-openers to food processors, pastry mixers and immersion blenders, all of which make preparing food more efficient. Refrigeration and Freezers: A walk-in refrigerator is a must for commercial kitchens. While it can take up a good deal of space, it will allow you to store all of your perishable items in one place without crowding. This will be especially important when you are storing raw meats and eggs, which must be kept on separate shelves from prepared foods and raw fruits and vegetables. Freezers are either walk-in or stand-alone. Some kitchens also like to use a standard reach-in refrigerator and chest freezer if they have room, for added storage. Point-of-Sale System: One of the most important pieces of equipment is your point-of-sale system, or cash register. There are many brands to choose from, but most are now made to be programmed with your specific menu items and can take a variety of payment methods. These systems can also link multiple stations so that servers and hosts can relay orders to the kitchen and bar without having to physically deliver a ticket. These computerized systems make reviewing specific sales very efficient, as a manager can log in and discover how many specials were sold during the evening. Financial assistance: The most important element in starting a business is funding. Registering a restaurant name, obtaining licenses and other govt. Permits, printing advertisement for your restaurant, all depends on the money you have spent in getting your restaurant worked. Financial assistance can be obtained from a variety of sources. You can either invest your own money or taking a help from a franchise can also help you in getting financial assistance. Loans and lines of credit can also be taken from financial institutions, friends and relatives, private investors etc. Hence, resources are the basic requirement before starting a new restaurant business. It helps you get the right staff, creating a location for your restaurant, expanding your monetary gains, setting up an infrastructure for your restaurant and every small need of the business. Are your customers’ emotionally connected..